The Pike County Conservation District Board has created an Education Reimbursement Grant program for applicants who are eligible for the PA DGLVR Program funds to attend trainings conducted by the Center for Dirt and Gravel Roads. The trainings offered focus on environmentally sensitive maintenance practices to reduce sediment pollution and long term maintenance costs associated with rural roadways. 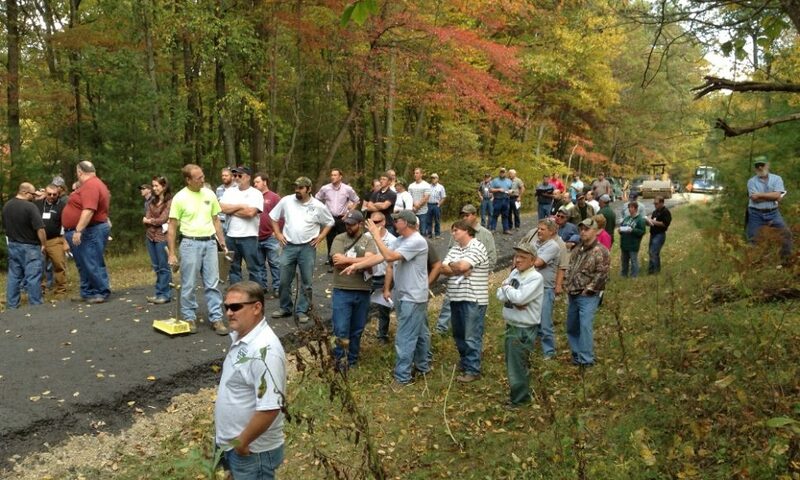 PA’s Dirt Gravel and Low Volume Roads (DGLVR) Program provides local road-owning entities with grant funding for road and environmental improvements on unpaved and low-volume paved roads. Local road-owning entities include municipalities, PA Game Commission, PA Fish and Boat Commission, PA Department of Conservation and Natural Resources, PennDOT and other local government agencies. Funds are made available through the PA Transportation bill. The Pike County Conservation District administers the DGLVR Program for Pike County. The District staff provides administrative, technical and educational assistance to applicants. The purpose of this grant opportunity is to provide supplemental funding to applicants to send their representatives to training sponsored by the Penn State Center for Dirt and Gravel Road Studies (Center). Pike County Conservation District (PCCD) will reimburse Pike County eligible applicants for travel expenses for their representatives to attend an Environmentally Sensitive Maintenance (ESM) Training provided by the Center. Applicants who have previously attended an ESM training may qualify for reimbursement to attend an Annual Maintenance Training provided by the Center. For more information about the grant program please contact Michele Ulmer at the Pike County Conservation District at 570-226-8220, email mulmer@pikepa.org or visit the District page on the Center’s website.